1975’s Force It has pretty much everything I want in a hard rock album from that era: lots of guitar, boogie rhythms, harmonies, horny lyrics, blah blah blah. You’re not here for a review of a forty year old album, you’re here for that controversial album cover so let’s get to it. What the gatekeepers overlooked in this case was the inordinate amount of plumbing in that bathroom. Sure there’s a couple in the shower, but also a large number of faucets. Faucet/Force It — get it? Those Brits and their puns, you have to love it. 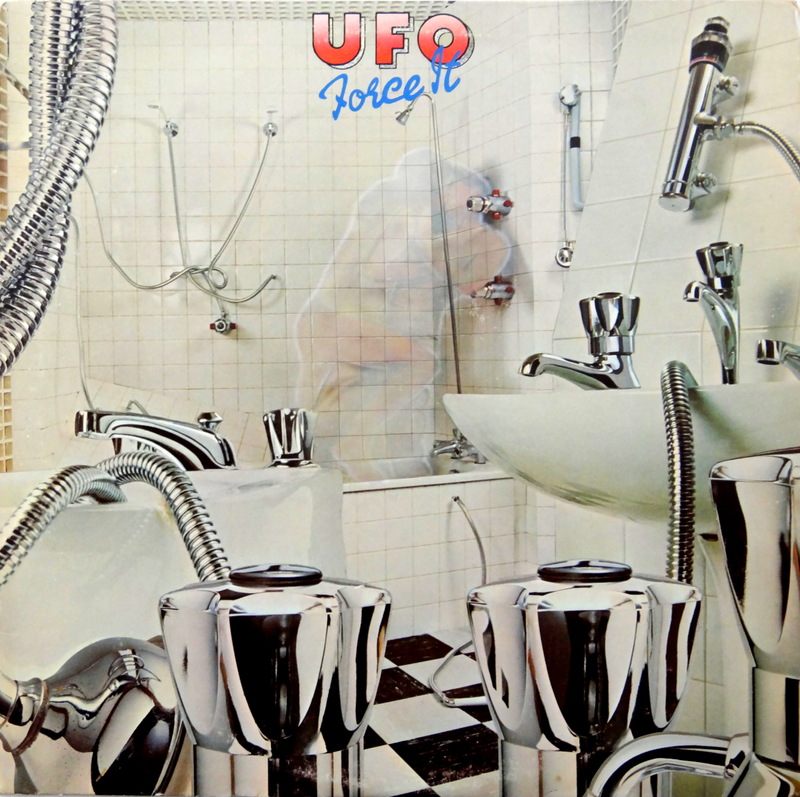 Force It is a great album and it has a Hipgnosis cover and that cover is controversial. In other words, it’s a perfect addition to your stacks. There’s a recent UK release on 180 gram vinyl if you’re into that, or you can buy the original in the ten dollar range. Happy hunting. I think this album cover is fun. The ghosty one is kind of creepy, but the regular one is cool.